Chinese Tanker or Dispatch Rider Helmet. Chinese Paratrooper Plastic Helmet. M1982. 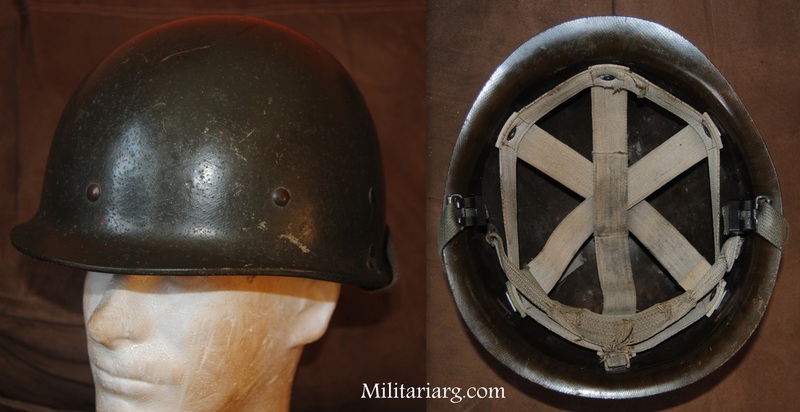 Chinese Experimental Type PASGT Steel Helmet. Chinese Army Enlisted Camo Cap. 1980s .Chinese Army reversable camouflage uniform adaptation of the WWII USMC Jungle camo and DPM type. South Korean M76 (Exported in many countries).